Prince Michael Jackson appeared in court in Los Angeles to testify against AEG Live in his family's lawsuit against the company. 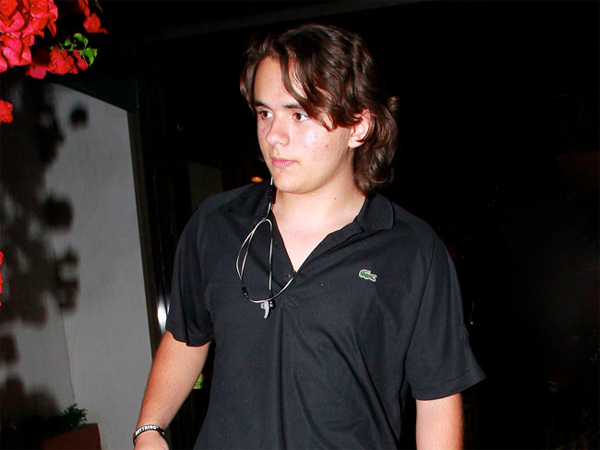 Michael Jackson's eldest son claims the singer was under a huge amount of pressure before his death. Prince Michael (16) took to the stand to testify in his family's wrongful death lawsuit against concert promoters AEG Live on Wednesday, and told jurors the late King of Pop was convinced his This Is It residency, which would have seen him perform 50 concerts in The O2 arena in London, was going to kill him. A source told gossip website TMZ.com the teenager said his father would cry after speaking to AEG executives on the phone and say, "They're gonna kill me . . . they're gonna kill me." He also testified the Thriller hitmaker, who died from acute propofol intoxication in 2009, was stressed out about his tour dates and felt he needed more time to rehearse. The Jackson family are suing AEG Live for hiring and not properly investigating Dr Conrad Murray, who was convicted of involuntary manslaughter for his role in Michael's death. Prince Michael's sister, Paris (15), who also gave a deposition before the start of the trial has reportedly been informed she doesn’t have to testify in the case following her recent suicide attempt. Perry Sanders ? who’s representing the aspiring actress' legal guardian and grandmother Katherine Jackson in the trial against the concert promoter ? previously said, "Nobody would force her to do anything. I was with her both days of her deposition. She was a poised person. The deposition went fine, and Paris is a good, strong person."